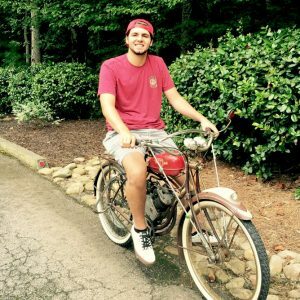 It’s not very often that you come across a 20 year old that would be more comfortable living in the 1940’s or 50’s, but Tyler Newsome of Dallas, Georgia is just that guy. 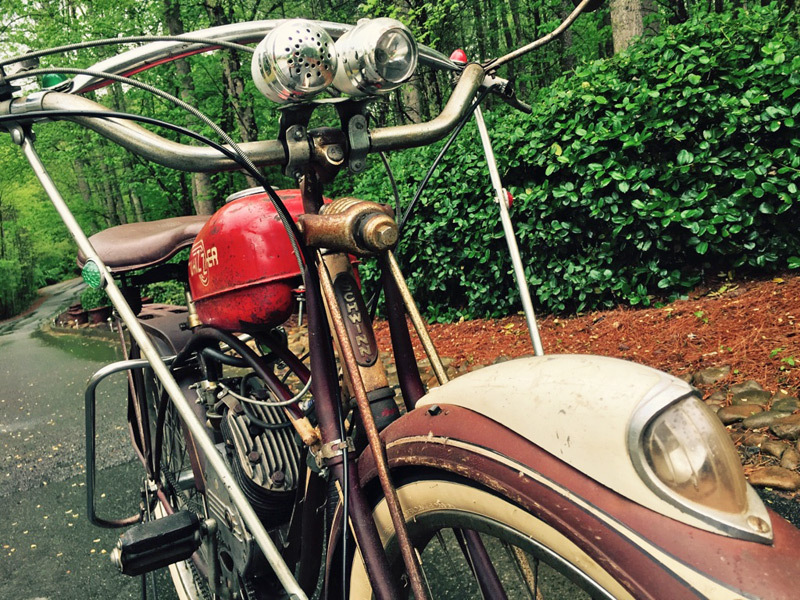 His 1948 Schwinn Whizzer is the focus of this Builder Spotlight. 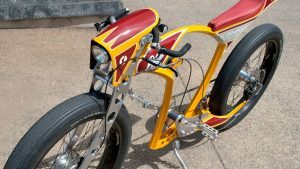 Tyler has been a member of Rat Rod Bikes since 2009 (do the math…he was 14 then). After 7 years of buying, selling and talking bikes online, we finally made him a moderator….he’s still not sure if that was an award or a form of punishment. Tyler also runs a small business called American Vintage Bicycle Supply. You could say he was a “Picker” and he loves traveling around digging up cool old bikes and parts. He started it back in 2013 and has created quite a following. That brings us to the focus of this Builder’s Spotlight. Last year Tyler started trying to hunt down a bike he’s been wanting for a while….a Whizzer. A popular name in transportation in the late 40’s and early 50’s, Whizzer mass produced an easy to install motor kit for any bicycle along with a ready to ride motorbike. Oddly enough, he had actually purchased one the year before from a collector in Birmingham, Alabama. 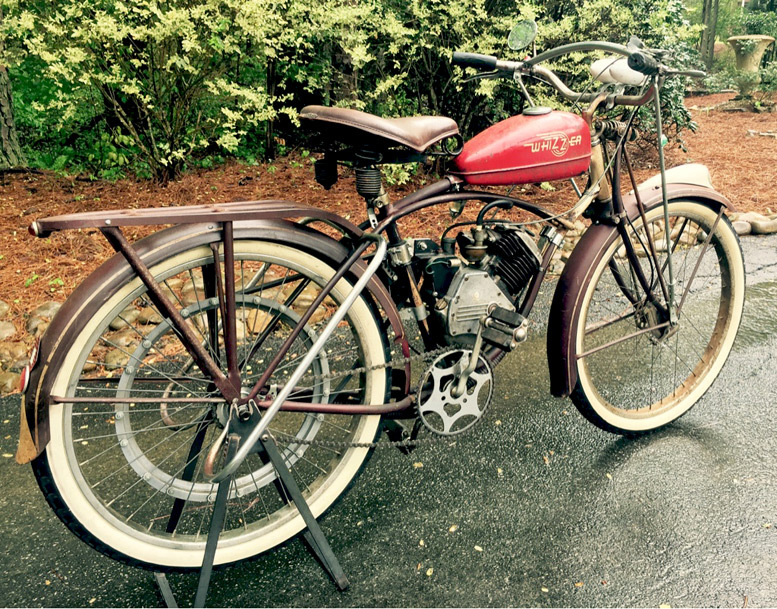 Before he even received the bike, a fellow collector friend offered to trade him a sweet 1949 Colson Clipper for the Whizzer…did we also mention he’s a Colson junky? That trade was worked out at a bike show at Antique Archeology in Nashville, Tennessee which left Tyler without a Whizzer (it’s okay to laugh). Now here’s where the story gets a little complicated. Tyler decided he still wanted a Whizzer and began another search. Ironically enough, he ended up working out a deal on the kit he had originally traded for the Clipper. The kit had been installed on a prewar Columbia that had a bad repaint and a jumble of mismatched parts. You could tell it was someone’s project that was never completed. 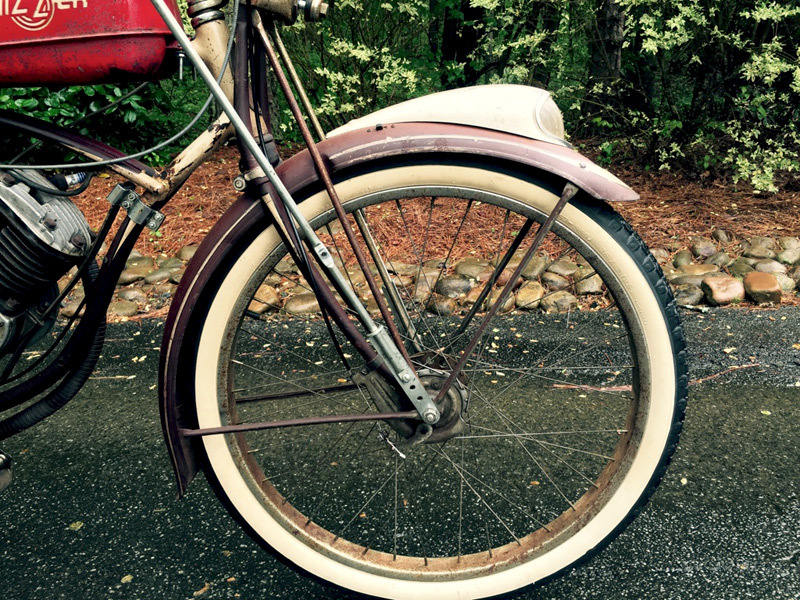 Tyler managed to track down an original paint 1948 Schwinn B6 which ended up being a perfect match for the 1948 Whizzer kit. The bike even had a motor kit installed at one time! He got it all installed and dialed in and it was clear that it was all meant to be. 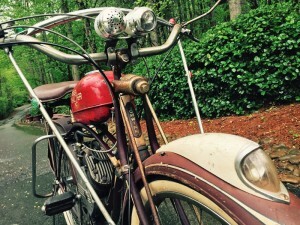 In 1948, Whizzer announced the Model “J” engine, which had a chrome-plated exhaust pipe and fittings, a new more-reliable Carter carburetor, and motorcycle-type twist-grip throttle. Whizzer sold about 51,000 Model “J” motors at a cost of $97.55 each. In 1948, running cars could still be bought for under $50! Unfortunately, along the way, Tyler’s kit lost the twist grip and was replaced with the previous model’s throttle. The chrome tail pipe was also missing and was replaced with a flex pipe, all done way before the bike was in his hands, probably in the 1960’s. We’ll leave that knit pickety stuff up to the purists. 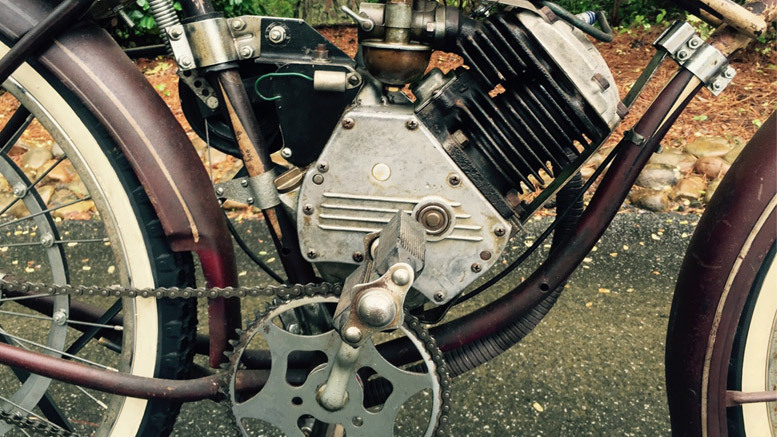 Since Tyler built his dream Whizzer, he’s run across another and he’s still looking for more. While he does manage to dig up some really cool vintage bikes and parts along the way, he tells us that the Whizzer stuff he finds is NFS (Not For Sale!) You can follow Tyler online and see what amazing treasures he finds on his Facebook page. If you see something you like, you better act quick….we hear he has hard time keeping cool stuff around! 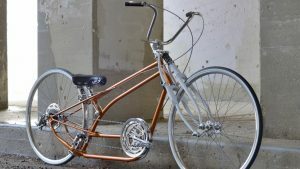 If you’ve got a vintage or tricked out custom bike and you want to be in our Builder’s Spotlight, send us a photo. Also subscribe to our email newsletter to see other cool cruiser related news and reviews. 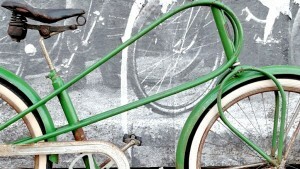 The original “Gentlemen of Bicycles & Motors” founder! Great stuff! Always good to be reminded of the full story behind a member! Sure beats a clothes pin and jack of diamonds.